Whether you're a die-hard Windows fan or simply a Mac user required to occasionally use Windows, it's hard to argue against the fact that Mac OS X has some killer features. Here's how to get the best of them on Windows. 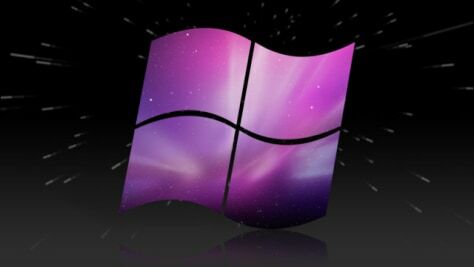 If you're a Mac user that has to use Windows at work, needs Boot Camp for a few specific programs, or if you're one of the few that's actually switched from Mac to Windows (instead of the other way around), it can be hard to get used to some of Windows' idiosyncrasies. There are no shortage of waysto make Windows look like a Mac, but what about making it act like a Mac? Here are some ways to get OS X's best features in Windows — from simple keyboard shortcuts to system-level niceties such as Exposé, Spaces and multitouch gestures. Exposé and Spaces are two of the best window-managing features around, but neither of them really has a built-in equivalent in Windows 7. Previously mentioned Dexpot will give you them and a lot more. You can get an Exposé-like overview of your open windows, view and manage multiple virtual desktops, replace your Alt+Tab switcher with Dexpot's, and even toggle things like your screensaver with the press of a button. It's a really great app, whether you're trying to Mac-ify your Windows desktop or not. Just install it and right-click on its System Tray icon to tweak its many settings. 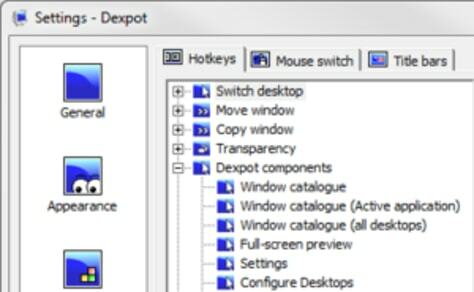 The Spaces-like virtual desktops are its main feature, but you can also find the Exposé-like overview under Dexpot Components > Window Catalogue on the Controls menu. You can even set all the keyboard shortcuts to match the ones you're used to in OS X. Sadly, Win+Right and Win+Left (which are what will correspond to Mac's Ctrl+Right and Ctrl+Left, in this case), are already taken by Aero Snap, so you can't use them for Spaces out of the box. You can either turn off Aero Snapif you don't use it, or change it to something similar like Alt+Right and Alt+Left, This is something you may run into with other shortcuts, too, so just tweak them accordingly. Sadly, there's nothing quite as great as Mac's Quick Look available for Windows, but there are a few similar features. Windows 7's built-in Quick Look alternative is the preview pane in Windows explorer. Just open up Windows explorer and click the "show preview pane button" on the right, and you'll get a third pane that will show thumbnails for images and play music files. Your other option, which is more like Quick Look but still not quite as useful, is the Quick Look clone contained in previously mentionedMaComfort. It won't let you flip through documents, and its image previews are pretty small, but it will suffice for many situations (and it plays music files well). It works exactly like on OS X: MaComfort sits in your system tray, and all you need to do to Quick Look a file is to highlight its icon and hit the spacebar. Note that MaComfort is actually a program designed to bring Mac's best features—like Spaces, Exposé, and Quick Look — to Windows, but I've found that the rest of the program isn't very good. Dig around through it if you want to see what it offers, but I'd recommend turning most of its features off and using the ones I recommend above instead. They're much better. While the Windows 7 taskbar is often lauded as better than the Dock, the Dock does have some nice features, like Stacks. If you want a more Mac-like Dock on your desktop, you'll definitely want to try out previously mentionedRocketDock. RocketDock is pretty similar to OS X's dock in a lot of ways: you can launch applications, view folders, or even minimize windows to it. It's pretty configurable, too, letting you tweak it just how you want. It also has a great plug-in infrastructure, which lets you add "docklets" that give you extra themes and features, like this one that mimics Stackson OS X. It probably won't replace your Windows taskbar completely, but it'll give you back some of those features you miss from OS X's Dock without bogging down your system. If you're used to OS X, the first thing you've probably noticed on Windows is that all your keyboard shortcuts have changed. If you've burned them into your muscle memory, it can be pretty hard to change them back again, and even if you aren't used to the ones on OS X, many find them to be faster than Windows' anyways, so you may want to change them. Here are a few ways to get fast, Mac-like shortcuts on Windows. 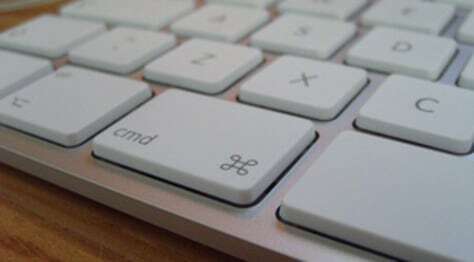 The biggest change from Windows to Mac is the position of the Ctrl, Alt, and Command or Windows keys. The best way to switch these is to dig into the Windows registry itself. However, that's a little annoying, so we'll use a portable program calledSharpKeysto do it for us. Just download the zipped version of SharpKeys and run it to configure your keyboard. If you have a Windows-based keyboard, you'll want to map Ctrl to the Alt key, Alt to the Win key, and Win to the Ctrl key to keep things as similar to OS X as possible. Now that you've remapped all these keys, the terminology for keyboard shortcuts might leave you a bit confused. For the remainder of this article, I'm going to refer to Windows shortcuts as their original keys, not their remapped version. So, Ctrl+C will still be referred to as Ctrl+C, not Alt+C, which is what it will look like if you watch your hands. Furthermore, remember that Ctrl usually does what Command does on a Mac, for the purposes of these instructions. Now, many of your keyboard shortcuts—like Ctrl+C for copy or Ctrl+T to open a new browser tab — should feel more like what you're used to. However, there are others that won't. On Windows, Alt+Tab opens the application switcher instead of Ctrl+Tab, so your muscle memory will be off. To fix this, you'll need the ever-useful and insanely powerful AutoHotkey. We won't go into too much detail on how to use it here, but you can really dig into the program using our original guide. Drag that script to your Windows Startup folder, and it will run every time your computer boots. From then on, Cmd+Tab should act like it does in OS X. For more info on how to set up AutoHotkey shortcuts, check out the AutoHotkey documentation. Keep in mind, also, that you can customize a lot of shortcuts from within the app they correspond to. So, for example, if you're used to Cmd+Shift+4 for taking screenshots, you can just head into the preferences of a screenshot program like Lightscreento change the "take screenshot" shortcut to Ctrl+Shift+4. For more ideas, check out this table of keyboard shortcutson Wikipedia. It will show you both the Mac OS and Windows version of any given shortcut, so you can remap them to match each other. Again, remember that Command on Mac will be Control on Windows if you've remapped your keys as I describe above, since Windows technically has no Command key. Sadly, not every keyboard shortcut will map exactly the same way — make sure Windows isn't already using a specific key combination for something before you go and map it. Most laptops have multitouch-capable trackpads, but not all of them have the great multitouch gestures that Mac OS X has baked in. 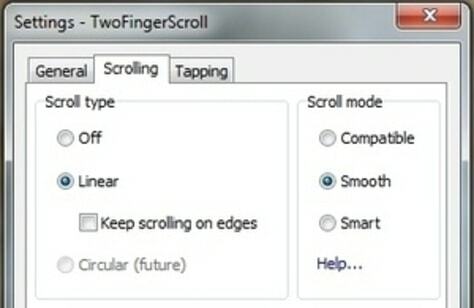 If you need to get your two-finger scrolling fix, there are a few things you can do. If all you want is two-finger scrolling and a few tap gestures (likely the most used gesture in OS X), you can grab TwoFingerScroll, a small utility that sits in your system tray and turns on two-finger scrolling for your trackpad. It's pretty configurable, too, so you can tweak exactly how fast and smooth you scroll. You can also assign certain actions to two- and three-finger taps, which is nice. If you want the full treatment—such as three-finger gestures and more—check out our full how-to on setting up multitouch gesturesin Windows. It's a small annoyance, but one of the biggest problems I had with Windows was that you can only scroll up and down with the scroll wheel on the window that's in focus. In OS X, you can scroll in whatever window your cursor is hovering over, even if it isn't the front window. A great little utility called KatMouse fixes this problem beautifully. Just install it, let it run at startup, and scrolling will work everywhere. Cygwin for Windowsand learn how to use it. It will give you a much more powerful Unix-style command line, which is great for digging down into files and performing operations you can't from the graphical interface. 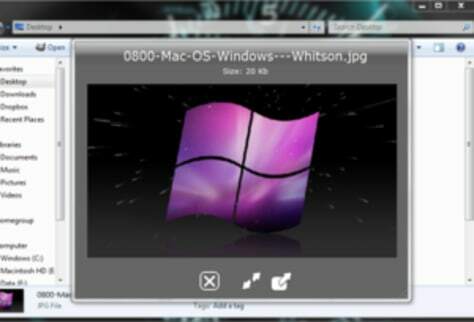 You'll never be able to get Windows working exactly like OS X, but you probably wouldn't want to. With just a few simple tools and tweaks, you can get the best of both worlds on your Windows machine, and (for the most part) without having to re-learn any of your favorite shortcuts. Got any of your own favorite features we skipped over?